Canon’s PowerShot S90 is a compact which will delight enthusiasts. It ticks most of the boxes demanding photographers look for in a top-end compact, including wide angle coverage, RAW file support, full manual control and a large detailed screen, along with putting some effort into decent low light performance with a sensible resolution and bright f2.0 focal ratio. The icing on the cake is a small and light body which will squeeze into pretty much any pocket, ensuring the S90 never gets left at home. As such the S90 really ought to be one of the standout products in Canon’s current range, but has been somewhat overshadowed by the latest versions of popular series like the PowerShot G11. But while the G11 officially remains Canon’s flagship compact, the S90 is arguably more compelling. Sure it may not have the G11’s articulated screen and flash hotshoe, and the lens may not zoom quite as far, but by sharing essentially the same image quality with the benefits of a brighter lens in a considerably more portable body, the S90 will be the preferred choice for many. The PowerShot S90 is billed as a low light camera with its modest sensor resolution and bright lens focal ratio. There’s certainly no arguing with the latter – an f2.0 lens can gather twice as much light as one at f2.8, allowing you to shoot at half the sensitivity or double the shutter speed under the same conditions. Halving the sensitivity on a compact can make a big difference to the image quality, and it’s perfectly illustrated when shooting alongside the G11 under dim conditions. With both cameras zoomed-out to 28mm, the S90 could employ a sensitivity of 400 ISO when the G11 would be forced to 800, and as seen in our results pages, this would give the S90 a big advantage in quality. The only caveat being the f2.0 aperture is only available when the S90 is fully zoomed-out to its widest angle. Like most compacts, the aperture decreases as the lens zooms-in, and by the time the S90 reaches its longest equivalent focal length of 105mm, the focal ratio actually becomes a tad slower than the G11 at its maximum of 140mm. So there’s no focal ratio benefit to the S90 at anything other than its widest focal lengths, but considering you’ll generally be using these for most shots under dim conditions, it remains a highly valuable feature. As for the sensor, we’ve seen its performance before on the PowerShot G11, so there’s few surprises here. Both cameras share the same sensor, and as such deliver very similar looking images. We say similar, not identical though, as their respective lenses play an important part in the overall quality, and in our tests the G11 enjoyed a minor but visible edge in sharpness, along with greater consistency across the frame. Don’t get us wrong, the S90 was still a very good performer, but the G11 boasted superior uniformity to the edges, while additionally zooming almost 40% longer at the telephoto end. In terms of processing and noise though they’re essentially identical. Pixel-peepers will notice noise textures pretty much from the start, but image quality remains pretty good up to 400 ISO. At 800 ISO and up, both cameras visibly suffer, but Canon’s been clever with its noise reduction, keeping visible textures under control at higher sensitivities with only a gradual reduction in saturation and fine detail giving the game away. Even the 12,800 ISO top sensitivity in Low Light mode can deliver acceptable images when shrunk for emailing or web applications. Indeed we’d say the S90 and G11 have some of the best ‘small-sensor’ performances we’ve seen to date, although they unsurprisingly can’t compete with the new breed of large sensor compacts like the Olympus E-P1 and Panasonic GF1 – and if you want really good low light performance, these are the models you should be aiming for. But what makes the S90 more arguably compelling than the G11 is getting essentially the same quality and degree of control in a much smaller package. The S90 really is very pocketable, and Canon’s also put considerable thought into its controls: along with the thumb wheel on the rear is a brand new ring control around the lens housing. This knurled ring may look the same as the G11, but where the G11’s is merely decorative (and removable to accommodate accessories), the S90’s actually turns with satisfyingly tactile clicks to deliver an additional control system. It feels a little like an aperture ring on an older SLR lens, but one that’s programmable to different tasks. By default, the ring changes function depending on the context, so at one moment it could be adjusting the aperture, setting the self-timer delay or fine-tuning the white balance. Alternatively you can program the ring like a function button to adjust settings like the ISO, focus or zoom. It works really well in practice and gives the S90 an ergonomic edge over the G11, even with the latter’s multiple dials. Wrapping-up the features are support for RAW files, full PASM modes, a great quality 3in / 460k screen, effective scene detection in Auto, a neat popup flash which not only raises automatically, but folds itself back down again when not in use, and an HDMI port. But it’s not all rosy for the S90. It may pack a great deal of technologies into a tiny package, but High Definition video isn’t one of them. Like the G11, the S90 inherits a surprisingly basic VGA movie mode from years gone by, which doesn’t even let you optically zoom the lens while filming. This is frankly outrageous for a premium compact in this day and age, and while Canon explained it was a technical limitation of the sensor, it’s little consolation when most rivals including several which over a year old, all sport HD video. Of course it may not make any difference to you personally, but for some it will be a significant omission or even a deal-breaker – it’s not like the S90’s a cheap compact after-all, and at this price you become very critical of missing features. Another disappointing aspect concerns continuous shooting, which like the G11, is pointlessly slow at under 1fps. There may be a faster option if you drop the resolution to 2.5 Megapixels in low Light mode, but the competition is again superior in this regard. Speaking of rivals, it’s also important to note while the S90 represents a refreshing combination of features in Canon’s own range, its specification can’t help but give a feeling of déjà-vu. Most obviously Panasonic’s Lumix LX3 also features a bright f2.0 lens with wide angle coverage, full manual control, support for RAW files and a large detailed screen in a portable form factor – that’s pretty impressive by today’s standards, but it’s actually over a year old. Canon was clearly inspired by this model, but sadly failed to also include the LX3’s HD video, flash hotshoe, faster continuous shooting and wider 24mm coverage (albeit with a shorter 2.5x zoom range). As we said in our PowerShot G11 review, there’s also the Micro Four Thirds compacts to consider. They may be larger and more expensive than the S90, but well-heeled enthusiasts may ultimately prefer their superior low-light performance, removeable lenses and support for HD video. So before our final conclusion, let’s take a closer look at some of those rival models. The PowerShot G11 is Canon’s flagship compact, and priced only a little higher than the S90. Both cameras share full manual control, support for RAW files, screens with 460k resolution, HDMI ports and the same sensor, which in turn means they also sadly have the same basic VGA movie facilities. As discussed above and in our results pages, the noise levels and overall image style are unsurprisingly the same, although the G11 enjoys a small edge in sharpness and uniformity across the frame. Beyond these initial similarities though, both cameras represent quite different propositions. 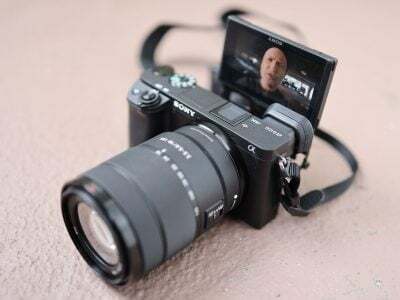 In its favour the G11 has a fully-articulated (albeit slightly smaller 2.8in) screen which can flip and twist to any angle, along with an optical viewfinder which is handy in direct sunlight or for squeezing a few extra shots out of a failing battery. Both lenses start at an equivalent of 28mm, but the G11’s zooms almost 40% longer to 140mm, allowing it to better grab distant details, and as mentioned above, it was also a little sharper in our tests. There’s a hotshoe for mounting proper Speedlite flashguns, dedicated dials for the ISO and exposure compensation, and while the body is considerably larger and heavier, it lends it a greater air of confidence, while additionally giving you more to hold onto and a longer battery life. In its favour, the S90 is considerably smaller and lighter, features a lens with a brighter focal ratio when zoomed-out, a slightly larger 3in screen and a neat lens ring control. The S90 may pack the essentials of the G11 into a much smaller and lighter package with a brighter lens, but many will still prefer the benefits of a flip-out screen, flash hotshoe, longer lens, optical viewfinder and a body that’s easier to hold. Considering the G11 only costs a little more than the S90, that’s a lot of extra features for the money and will ensure sales of Canon’s flagship remain strong for those who can accommodate its size. See our Canon PowerShot G11 review for more details. Panasonic’s Lumix LX3 is undoubtedly the camera Canon had in mind when designing the S90. There’s simply too much in common for it to be a coincidence, and its testament to Panasonic’s original specification that the LX3 remains such a strong rival over one year later. Both cameras features bright f2.0 lenses with wide angle coverage, full manual control, support for RAW files and 3in / 460k screens in similarly-styled bodies. They also cost roughly the same. In its favour, the LX3 features wider angle coverage equivalent to 24mm (albeit with a shorter 2.5x total range), a flash hotshoe, HD video, and faster continuous shooting both at full and reduced resolutions. Note the LX3’s screen is 3:2 in shape, which means files shot in its native 4:3 resolution will have thin black bars running down each side during composition, but on the plus-side it’s easier to adjust the aspect ratio using the switch on the lens. And speaking of aspect ratios, the LX3’s sensor allows the camera to capture 4:3, 3:2 or 16:9 images while maintaining the angle of view and avoiding any cropping – that’s in contrast to the S90 which only offers 4:3 or 16:9 aspect ratios with the latter cropping pixels and reducing the angle of view. Finally, the LX3’s body may be larger, but there’s more to hold onto in terms of a grip, and there’s also an optional adapter which lets you mount filters. In its favour the PowerShot S90 has a longer zoom range of 3.8x, so while it doesn’t start quite as wide, it ends much longer at an equivalent of 105mm compared to 60mm on the LX3. The S90 may not have an aspect ratio switch on its lens barrel, but it does have a much more useful programmable control ring. Both cameras also offer higher sensitivities at reduced resolutions, but the S90’s top ISO is twice as fast at 12,800 ISO. And while the LX3 has an optional analoge component output for HD slideshows, the S90 features a newer HDMI port. The two cameras may look pretty similar, but the S90 is a little smaller overall (especially when you take their lens housings and caps into consideration) and 69g lighter too. These figures may not sound like much written down, but they make for a noticeably smaller camera that’s easier to squeeze into pockets. Finally, the S90 (and G11) employ integrated lens covers which automatically open and close when switched on and off, whereas the LX3 forces you to physically remove a lens cap which is slower and runs the risk of getting lost – the cap also adds to the LX3’s overall thickness, although it must be said it’s physically tougher than the S90 and G11’s lens coverings. When comparing our quality results from the LX3 with the S90, both cameras delivered similar noise levels up to 400 ISO. At 800 ISO and above, each camera adopted quite different approaches with the S90 losing detail and saturation due to noise reduction, and the LX3 going for a more hands-off strategy with greater visible textures. In our real-life resolution tests, the LX3 was consistently sharp across the frame, but the S90’s in-camera JPEGs looked crisper. Which you prefer in both tests becomes a personal choice, with neither taking a decisive lead in image quality. Ultimately the Lumix LX3 remains a highly compelling compact for enthusiasts and one which is superior overall to the S90 in several key respects, so long as you can live without telephoto coverage and the smaller body. The biggest problem facing the LX3 though is not so much the S90, but sheer availability. Like many Panasonic models – especially when they become over a year old – it can be unusually difficult to find broad supply. High demand and short supply have also ensured prices on the LX3 have remained relatively high for a digital camera that’s over a year old, whereas the simple truth is Canon’s greater supply will almost certainly see prices on the S90 fall below the LX3 over time. Looking to the future, it’s also unknown whether Panasonic will announce a successor, as the company may prefer to target enthusiasts with its Micro Four Thirds models like the Lumix GF1. While we were very impressed by the GF1, we sincerely hope Panasonic also continues the LX range as it remains one of the most compelling compact options for enthusiasts. See our Panasonic Lumix DMC LX3 review for more details. The Micro Four Thirds format may be relatively young but has already delivered a number of highly compelling cameras, including the Olympus E-P1 and Panasonic Lumix GF1. Both may be comfortably more expensive than the PowerShot S90, but are targeting the same market of demanding and often well-heeled enthusiasts. Many of these photographers are happy to pay extra for a camera which really suits their needs, which effectively makes both the E-P1 and GF1 rivals for the S90. In its favour, the S90 is considerably smaller and lighter, especially when the E-P1 or GF1 are fitted with anything other than a pancake prime lens. The Micro Four Thirds models may be small, but they won’t squeeze in a trouser pocket like the S90. The S90’s lens also zooms a little longer and is optically brighter than the standard kit zooms of the E-P1 and GF1. And when compared against the E-P1 alone, the S90 additionally features a built-in flash and higher resolution screen. Finally while many enthusiasts would be happy to pay extra for the right camera, there’s no denying the S90 is comfortably cheaper. Like the G11 before it, much of the decision boils down to how much you want or need the bigger sensor and removeable lenses of the E-P1 and GF1, although the S90 also has a much smaller body in its favour. The bottom line though is however good models like the S90, G11 and LX3 are, the Micro Four Thirds cameras simply fulfil a long-term desire of enthusiasts of squeezing a relatively large sensor into a relatively compact body. If this is your dream, then check out our Olympus E-P1 review and Panasonic Lumix GF1 review for more details. Canon’s PowerShot S90 is an ideal choice for enthusiasts who want a pocket camera without compromising on control and features. By essentially squeezing the PowerShot G11’s quality and control into a considerably smaller body with a brighter lens on the front, the S90 becomes one of the most desirable models in Canon’s current range. Think of it as an IXUS / ELPH for the more demanding customer. The person who fondly gazes at the attractive bodies of models like Canon’s IXUS 100 IS / SD780 IS, but wishes they had wide-angle coverage, manual control, RAW file support and a fast, bright lens. Written down it sounds like a tall order, but one the S90 essentially delivers on. The appeal of a smaller body cannot be underestimated. Sure the PowerShot G11 may enjoy a number of key advantages including an articulated screen, flash hotshoe and optical viewfinder, but with both on our desk during the test period we found ourselves reaching for the S90 much more often than its bigger brother. Where the G11 requires some thought as to where you’ll put it when you go out, whether it’s a garment with a bigger pocket, a bag or a strap, the S90 will simply slip or squeeze into pretty much whatever you’re wearing without a fuss. The bright lens is also a joy. The S90 may have an average aperture when zoomed-in, but zoom it out and you can enjoy f2.0, allowing the S90 to shoot at half the sensitivity of the G11 under the same conditions for much better-looking results. As for its closest rival, Panasonic’s older LX3 still manages to out-feature the S90 and for the same money it’ll be the preferred choice for many. But as discussed above, the big problem is actually finding one for sale, and the simple fact Canon’s popularity with stores and buyers means the S90 will be much easier to try and buy, not to mention more likely to fall in price over time. This coupled with its smaller body and sufficient degree of sophistication for most enthusiasts will see the S90 become one of the favourites in Canon’s range. For us it’s the sleeper-hit of the current Canon line-up. A model initially overshadowed by the PowerShot G11 at launch but one that’s gradually gained attention and well-deserved affection. Once again it’s not perfect: the absence of HD video, a flash hotshoe or filter mount may be a deal-breaker for some photographers, but for many it delivers a compelling combination of the G11’s power and control in a truly pocketable body. As such it comes Highly Recommended, but please Canon, next time make sure it has HD video. Pocketable body with great controls. 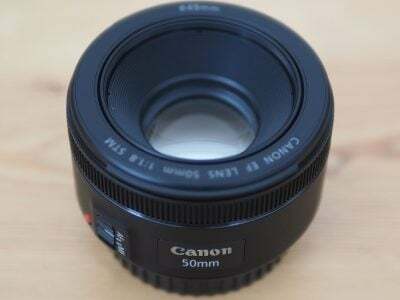 3.8x zoom with f2.0 aperture at 28mm. Great quality 3in / 460k screen. Full manual contro, RAW files and HDMI. No HD movies or zooming when filming. Slow burst shooting – below 1fps at full res. M4/3 better for noise and shallow DOF.